The best way to entertain yourself using just your device is playing games. And what better game than a word game that can challenge you and will give you the opportunity to test your skills? Few days ago we played a word game called Letter Crush and decided to share it with you because it addicted us to the fullest. It is created by Atabow and now available for all Windows users. The developers made it with creative art-work, engaging sound effects and clean user interface. The gameplay of the Letter Crush game is simple, yet very challenging. 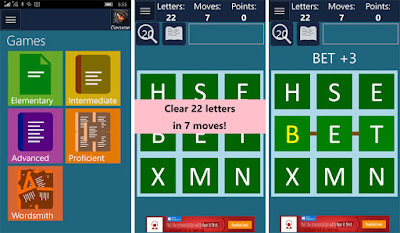 Download it and it will certainly test your skills at word creation. When you first start the game you will have to log in and then you can enjoy it endlessly. 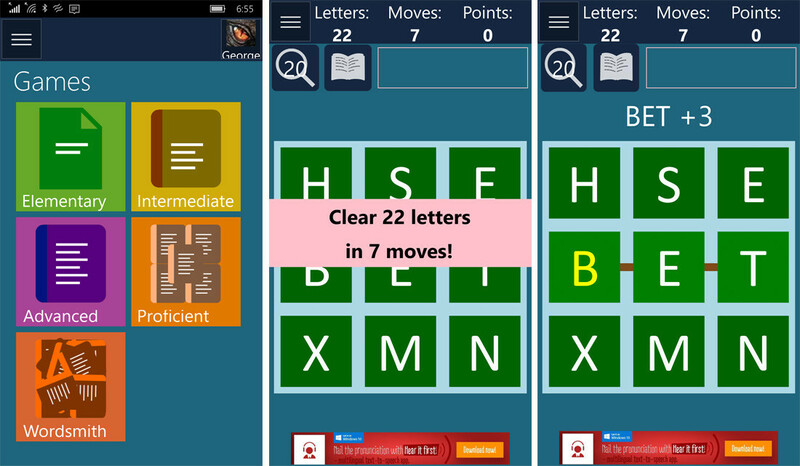 The objective is straightforward – just swipe with your finger across the tiles and create words. Be quick, it features a timer, but be efficient because there are limited moves. Earn as much points as you can and compete with your scores with players from all around the world. You can check them in the game’s online leaderboard. Complete as many levels as you can, including the Elementary, the Intermediate, the Advanced, the Proficient, and the Wordsmith. Share the fun with your friends and family, download it today from the Windows App Store. It is free, with some in-app purchases that include more useful hints.